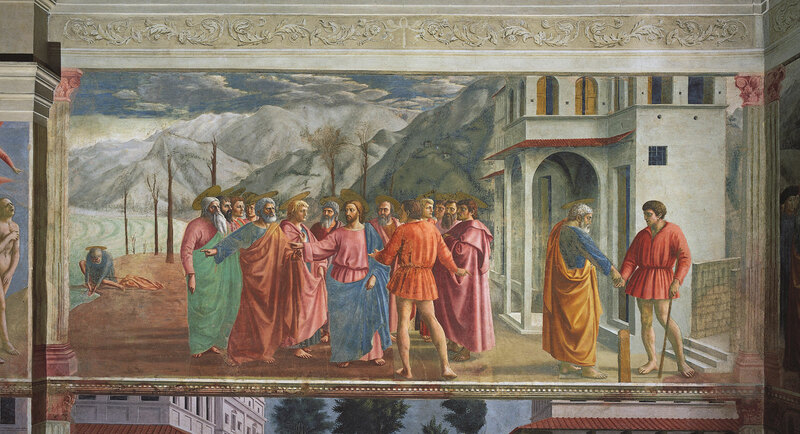 Andrea del Castagno, Last Supper, c. 1445 - 1450. 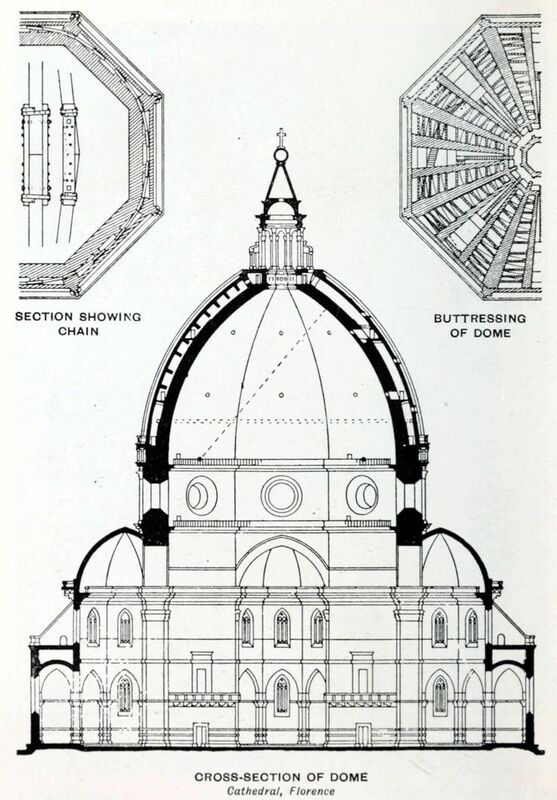 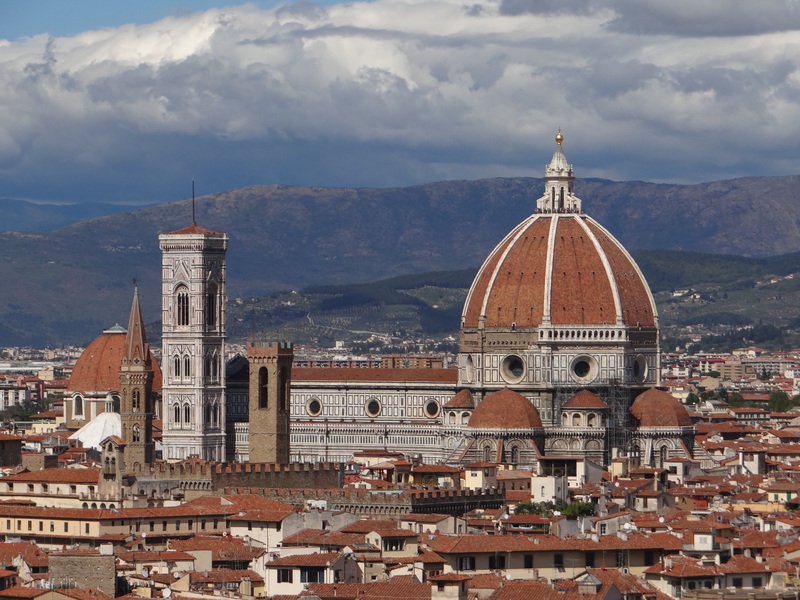 Filippo Brunelleschi, Dome of Florence Cathedral, 1417 - 1436. 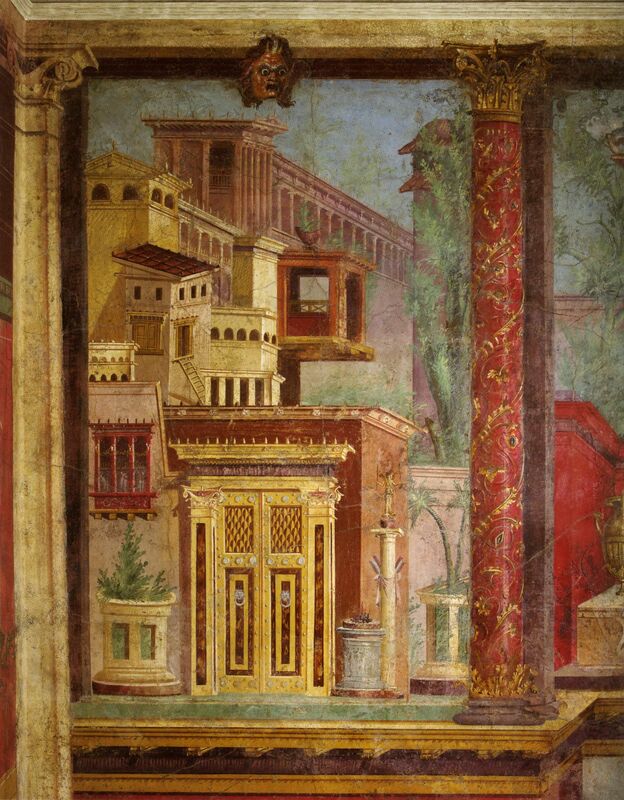 Architectural View, Wall painting from a villa at Boscoreale, near Naples, 1st century BCE. 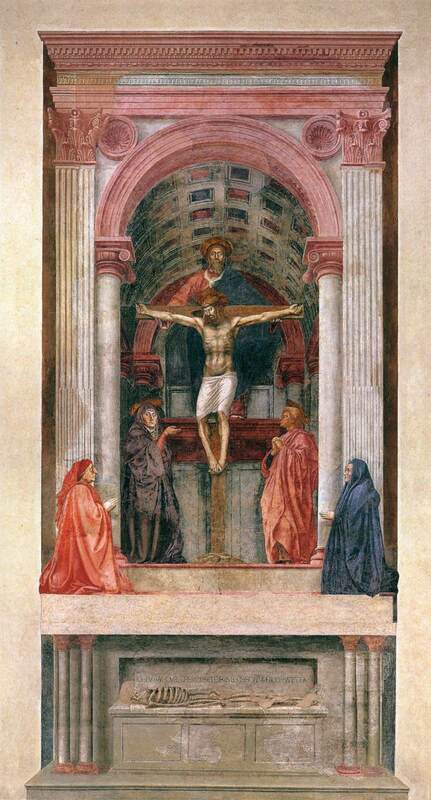 Masaccio, Trinity with the Virgin, Saint John the Evangelist, and Donors, c. 1425 - 1428. 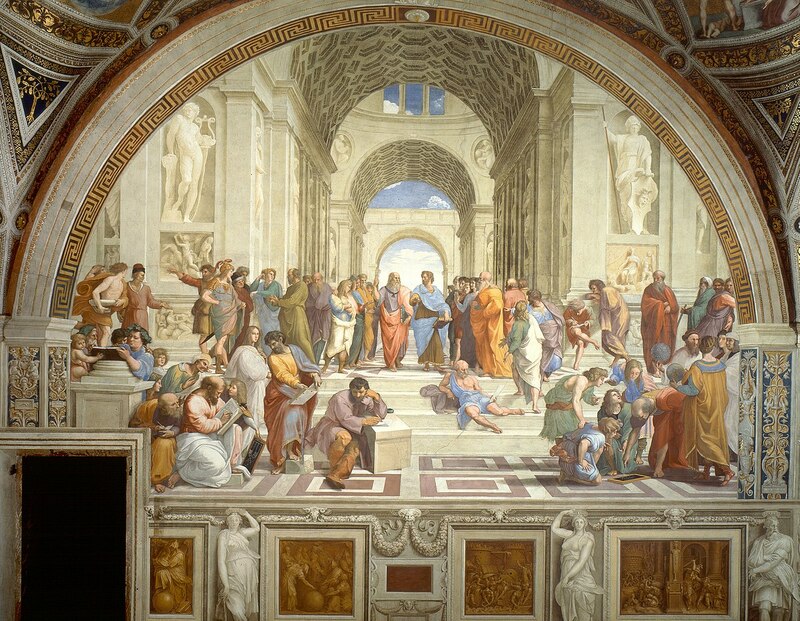 Raphael, School of Athens, c. 1510 - 1511. 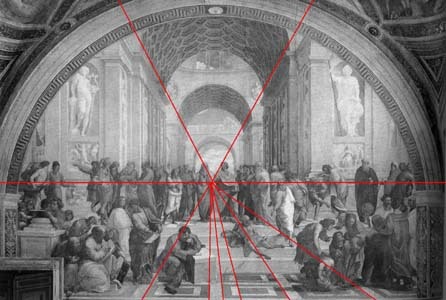 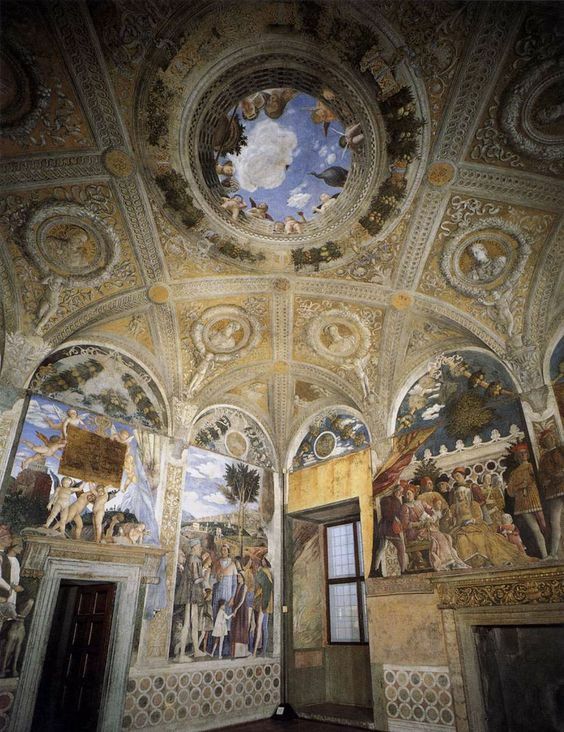 Masaccio, Tribute Money, c. 1427.
frescoes in the Camera Picta, 1465 - 1474.
ceiling of the Camera degli Sposi, 1465 - 1474. 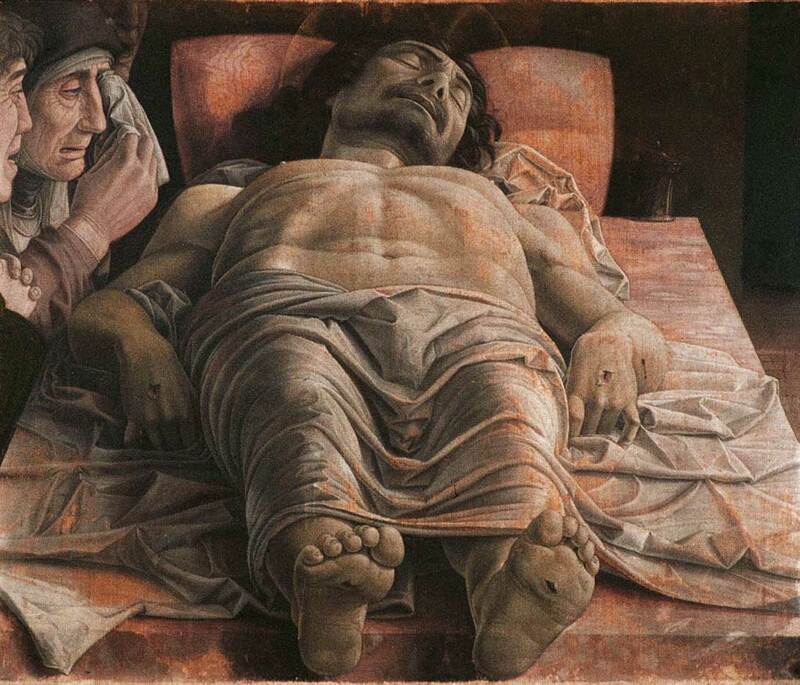 Andrea Mantegna, Dead Christ, c. 1501. 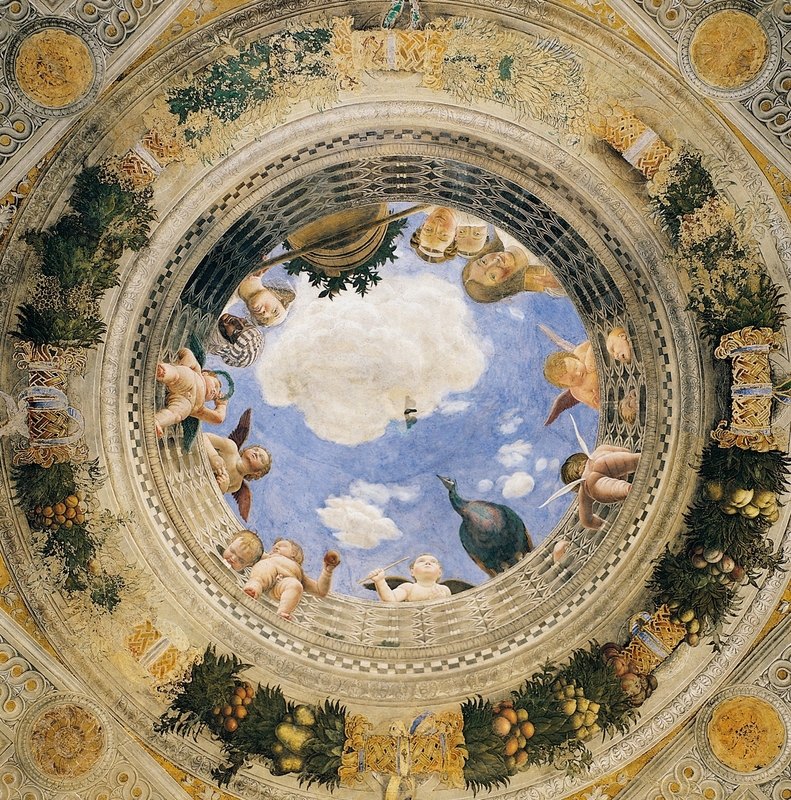 Tempera on canvas. 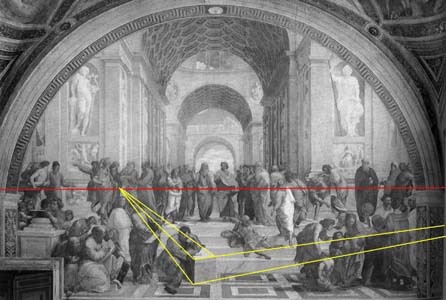 with Compass and Ruler, in Lines, Planes, and Whole Bodies, 1525.